Retirement is a Journey - Not a Destination. What's it like to Be Retired? Interesting Commentary by Irwin! I recently enrolled in a six week memoir writing workshop at one of my local library branches. Every week we have a writing assignment which is strictly voluntary. There is no pressure to share with the class what you have written. On our first day of class, we were asked by the instructor why we joined the class. Oh boy! When it came to my turn, here came the water works. This past week I read my writing assignment before the class. Here we go again. Into the forth paragraph, tears started flowing. I'm such a cry baby! The women and one man in our group are kind, understanding people who tried to comfort me when they heard the pain in my voice. They are a nonjudgmental group who all have, sometimes, sad stories to tell. After my reading, I felt so good and cleansed from an event in my life that was so difficult to experience. I'm ready now to conquer my next assignment for next week. Hope there will be no more tears. It helps to talk and not be judged! I always feel better when I can talk and then I can sometimes fix my own problems just by listening to myself! Writing is good for us in general. When I was a junior high (worst age) teacher had the students write in a journal every day. I would read it but only comment or read aloud of they asked me to. It was revealing to me about their lives and helpful to them for learning to figure things out. Put me on the list Wendy, I'd love to take a class to encourage me to do that. I would love to do the same, Wendy, and believe me when I say we should begin as soon as the mood strikes us because the longer we wait, the more we forget. Wendy Irwin, I kinda have that covered... and if a group did Life Stories, together, we'd share and remember even more! I would offer memory prompts, and that would bring back memories long forgotten. I will look at my files again!! I want to do this! I want to do a class for many of us to write our stories, topic by topic. I've worked on it, little by little, for years now... just never DID IT! Not for therapeutic reasons, though I"m sure this would help many, like Linda, but for Life Stories... saving them, finding lost memories, having fun, for family gifts, whatever! Thrilled for you, Linda! Go Girl! Join in and write your own page! It's easy to do. How? 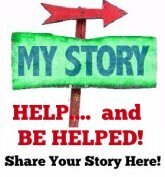 Simply click here to return to Write Your Own Story Here (so that others can comment on YOUR story too!)!. Wendy's Retirement Books include Coaching!